I’m one of those people who gets very intimidated by hair tools. I have a hair straightener and a clipless curling rod, and that’s it. 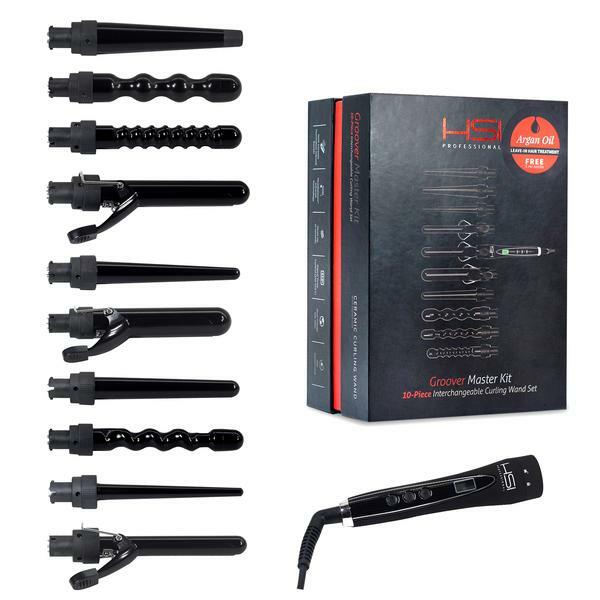 So I thought I would be overwhelmed by HSI Professional’s Groove Master Kit, which includes 10(!) different curling wands. But when I tried it out, it was actually super accessible and user-friendly. I love it because the different barrels just clip into your wand in a literal snap and then you can get either loose beach waves, tighter Old Hollywood curls, or a soft romantic wave, depending what color your mood ring is. I’m proud to say I’ve added another hair tool (actually I’ve added 10 more!) to my repertoire. 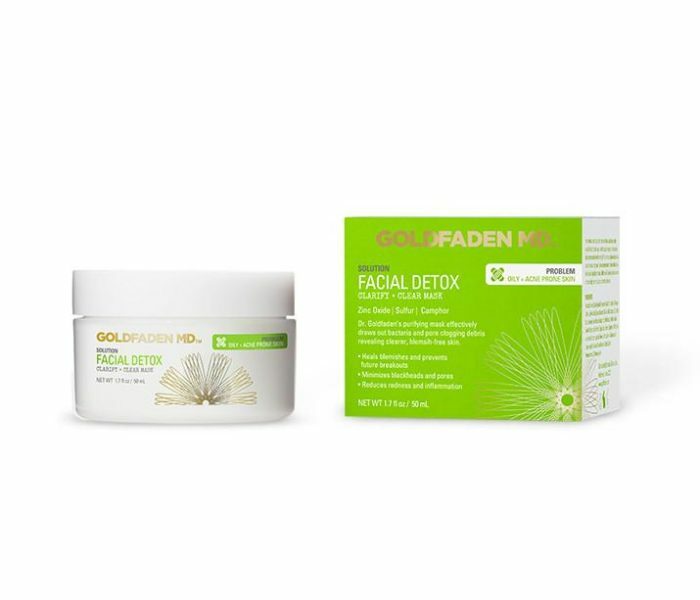 I used to spend a ton of money on blowouts because doing my own hair stresses me out, but honestly I see myself saving some extra cash with this and DIY-ing my look at home instead of running to the dry bar every time. 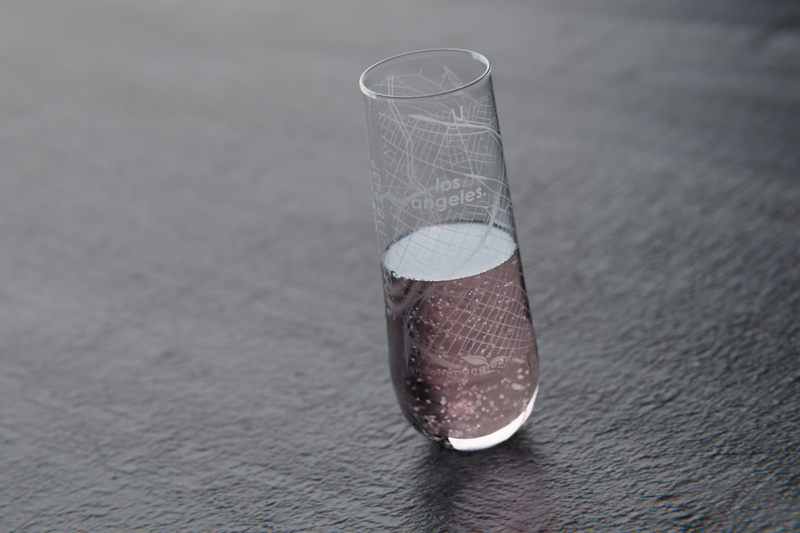 My bar cart situation is coming along slowly but surely, and I’ve got my eye on super cute glassware like these stemless champagne glasses with city maps etched on them. I love when normal things like glasses get a non-boring treatment, so these darling champs flutes are right up my alley. Cheers! 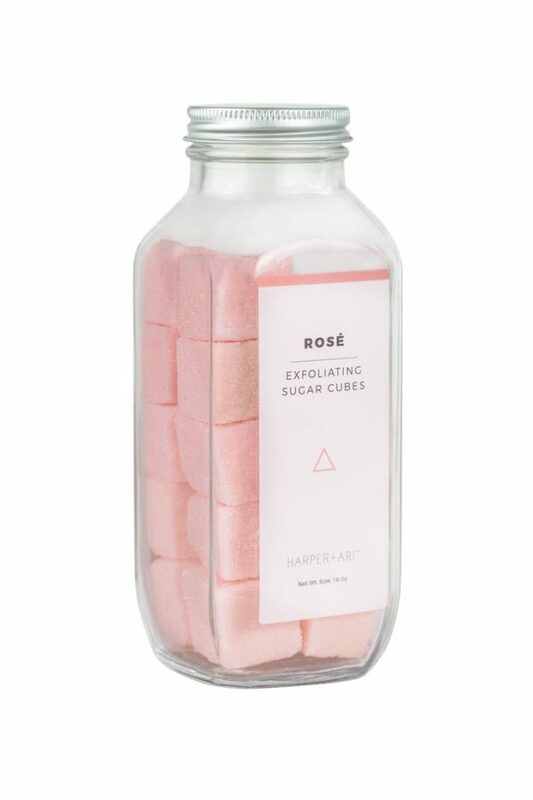 I’ve tried these exfoliating sugar cubes from Harper + Ari in the past, but they came out with a new rosé scent and I am ALL ABOUT IT. I am hopelessly devoted to rosé and baths, so this is basically my favorite things in life bottled up and packaged for my delight. I love these exfoliating cubes because they leave my skin spa-level smooth, they work in the shower (not just the bath), and they smell so good you want to eat them — but don’t, duh. You might not think you’ll be tempted, but you will! This mask actually FEELS like it’s working. It almost feels like you’re smearing toothpaste all over your face? But then you rinse it off and your skin already feels cleaner and looks brighter. You know what tastes five thousand times better than jelly beans? (Who invented jelly beans, anyway?) FRUIT SNACKS, aka the sneaky way to eat fruit and candy at the same time. 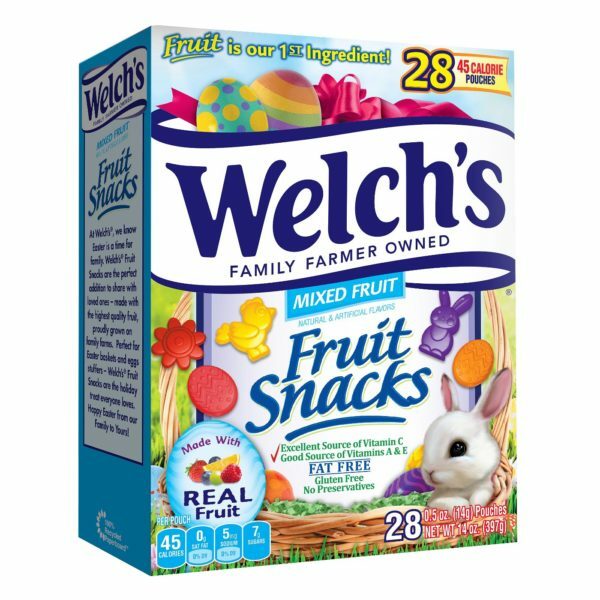 If fruit snacks had a royal family, it would be Welch’s. Welch’s has been my ride-or-die fruit snack since I was little, and well, it still is. Their Easter fruit snacks are a cute addition for spring. 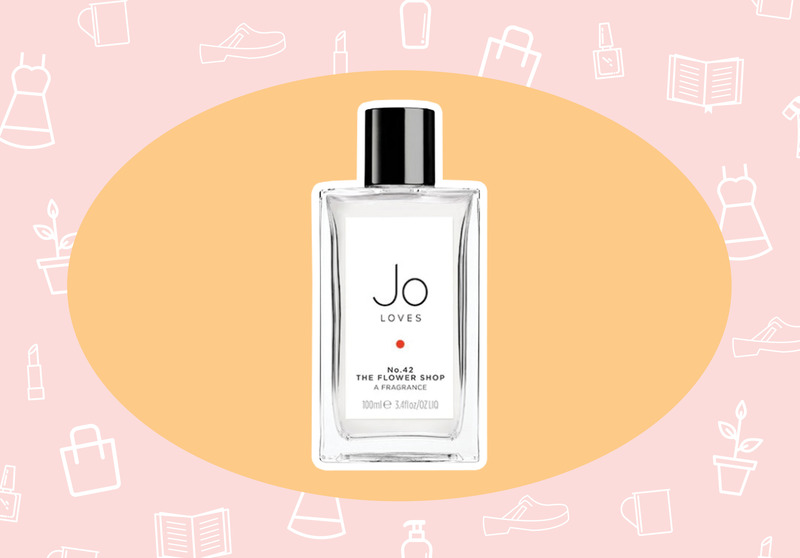 Jo Loves, by Jo Malone, has some new fragrances for National Fragrance Day, and one that is really speaking to me is this one just called The Flower Shop. It’s just so quaint and European-seeming to me. Its notes include: crushed green leaves, peonies, freesia, and moss. Spring in a bottle!